20,670W grid-tied arrays. This system is broken up into 5 sub arrays. 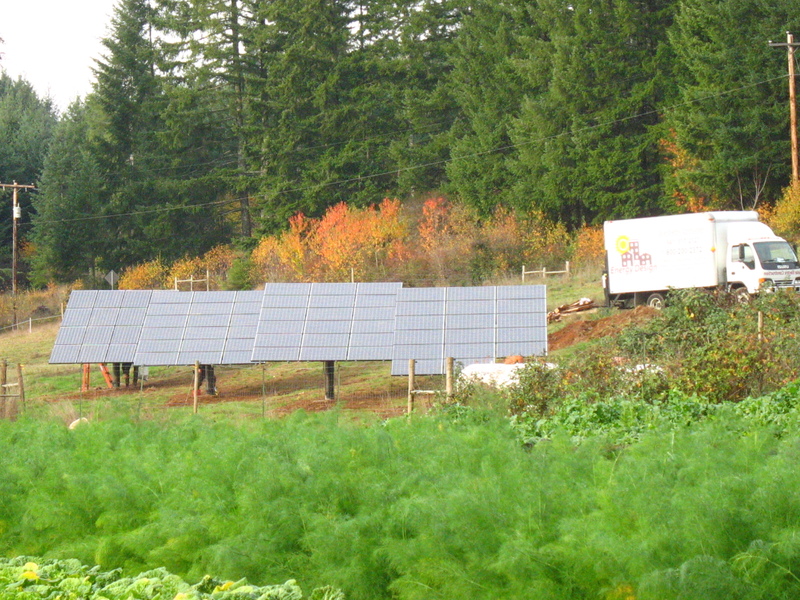 1) Rooftop tilt-up array on one of Wintergreen Farms’ agricultural buildings – 3 rows of 12 modules each, & 4 ‘top of pole’ arrays in a nearby field. This project received a USDA grant. Energy Design completed the technical portion of the grant for the owners. System is composed of 106) Sanyo 195W modules 1) SMA 7000US SB, 1) SMA 6000US SB, & 1) SMA 5000US SB inverters. 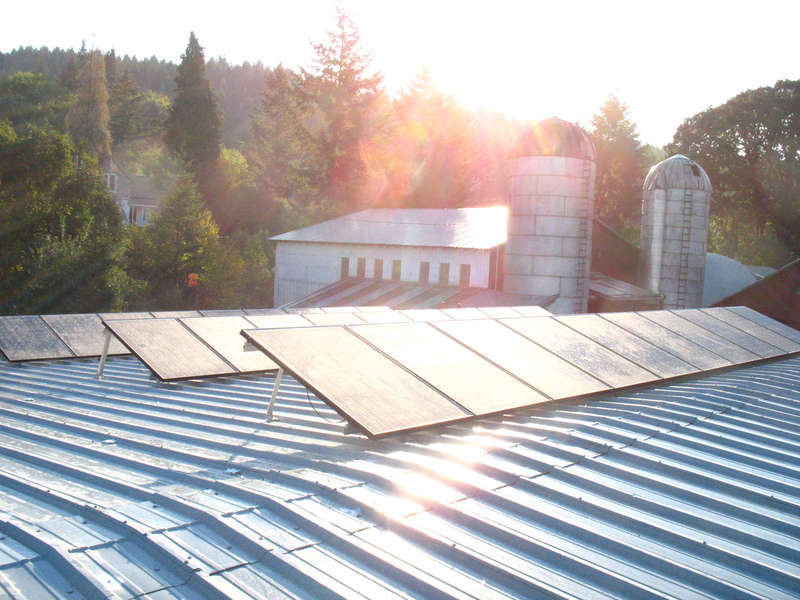 This is the second job Vince and his crew have done with us, including the 28kW array at United Methodist Church of Eugene. We keep recommending Energy Design to everyone we meet. And the SunPower modules are top rate!